Got fancy plans this Valentine&apos;s Day? 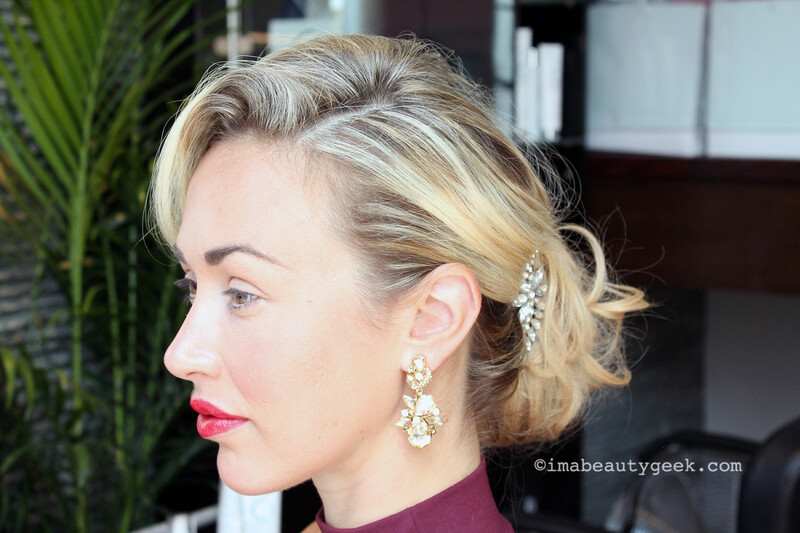 Or you&apos;ve always wanted to know how to do a tousled updo? (Up-do?) Celebrity hair/makeup pro Darrell Redleaf is back in another video tutorial to show us how to do one-minute updo complete with a side of bling. He says the transformation from long waves to a tousled chignon takes about 10 seconds. He&apos;s not far off including the finishing touches that take just a few seconds more. As I mentioned in the previous post on how to achieve Cheryl&apos;s beautiful, old-Hollywood waves, hair/makeup pro Darrell Redleaf has worked with a host of film and television stars such as Cameron Diaz, Helen Hunt and Selena Gomez. When we shot these hair tutorials, he was in Toronto to chat about Flow, a new professional haircare brand based right here in this city. 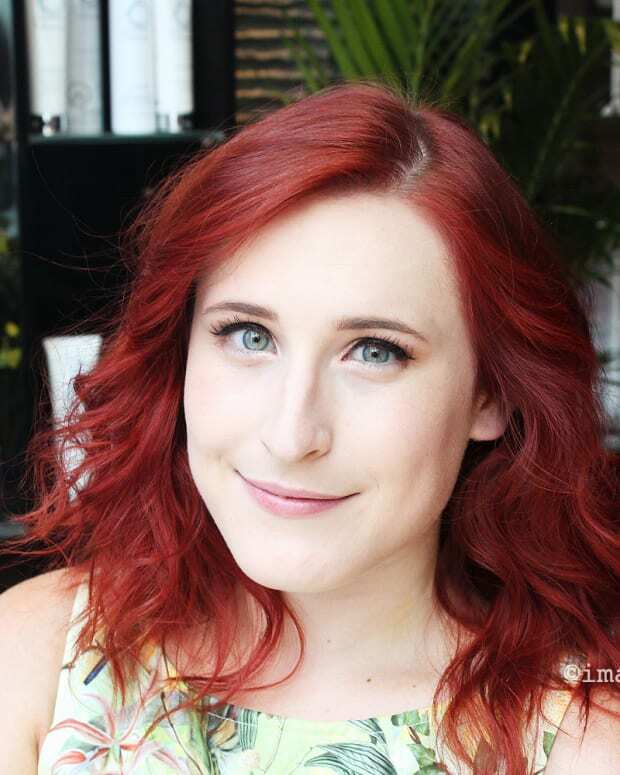 I&apos;m not a fan of the sweet-candy scent they&apos;ve used, but I liked the non-sticky control of the styling products I tried in my hair when I met with Darrell, and I love the Flow 30-Second conditioning treatment (it works as quickly as it promises). Yep, you need a faux-hair scrunchie in a shade similar to your own. (Check your local beauty-supply shop.) Doesn&apos;t have to match exactly; note how the colour Darrell used in Cheryl&apos;s hair added dimension to her chignon. Gather the length of your hair and pull it back into a ponytail using your faux-hair scrunchie (it&apos;s just fun to type that). Loop the hair scrunchie around the ponytail twice, and on the third loop, just don&apos;t pull the hair all the way through. Give the looped hair a little tug on either side to shape it a little. 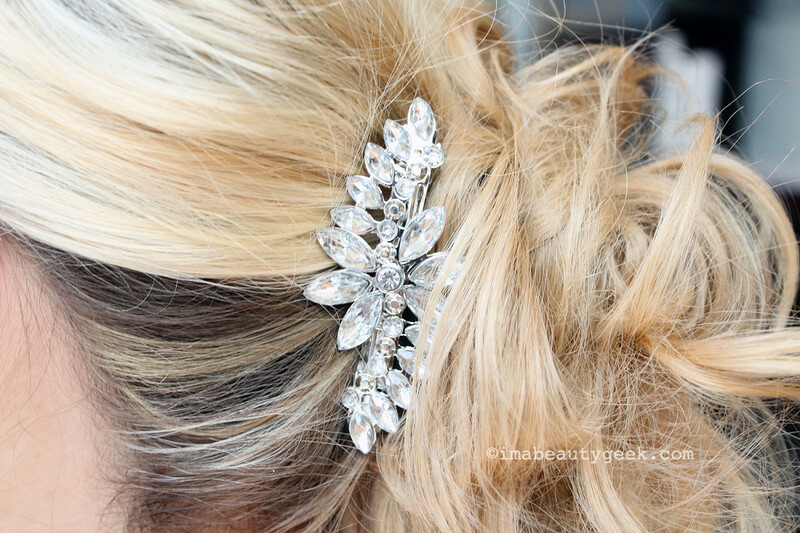 Dress the style up with a sparkly hair clip at the base of the chignon. Set and control flyaways with a light mist of hairspray; Darrell used Flow Impeccable Finish Flex Hairspray, a workable formula that delivers hold and shine without stickiness. 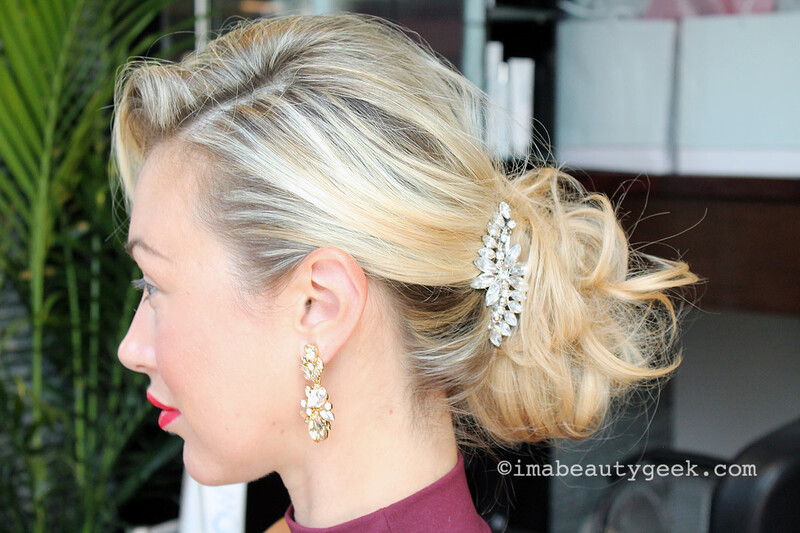 The one-minute updo: a speedy transformation from long tumbling waves to this tousled chignon. So easy! Whaddya think, lovelies?